Dermal fillers are generally used to soften lines and add volume in the lower third or so of the face, such as around the nose and mouth and on the chin. Sclerotherapy can be used on the face; however, due to the goals of the procedure, it is most often a treatment for spider veins on the legs. This network of red, purple or blue veins commonly appear in the lower part of the body. 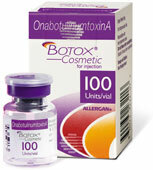 Botox is a safe and precise treatment, often administered to the upper part of the face. This solution goes to work on the expression lines around and between the eyes. When you are younger, those creases will appear upon frowning or when making other expressions. As changes occur underneath the surface of the skin, those dynamic lines become permanent. They stick around regardless of whether you are frowning or not. This can create a stern expression, even when you are feeling happy. Your expression should match how you really feel. To get the desired outcomes of Botox treatment, it is important to visit a trusted dermatological professional experienced in administering this neuromodulator. It is not enough to have experience with an injectable treatment, as many different types of solutions and substances can be injected. 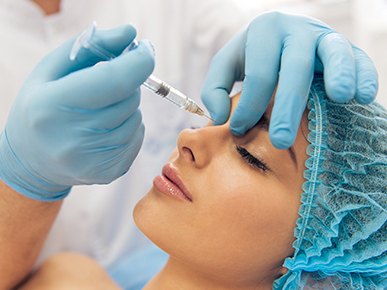 Furthermore, there are many different formulations of the same type of injectable treatment. For example, Juvéderm is just one of numerous dermal fillers. Botox, Dysport and Xeomin are the three most common types of neuromodulators used in the U.S. to correct expression lines. Facial muscles are responsible for your expressions. Neuromodulators work by preventing these muscles from contracting. Expression lines don’t arise when a muscle can’t contract. Since the effects of Botox are limited to the precise treatment area, you can still make facial expressions without looking frozen.